On Saturday, almost a dozen nations outside the OPEC oil cartel struck a landmark deal to slash their output by 558,000 barrels a day. The world’s biggest energy producer Russia pledged the bulk of the cuts—300,000 barrels a day. 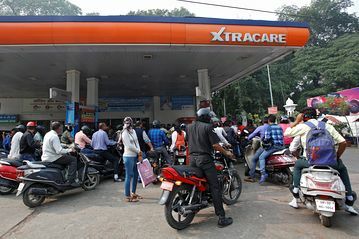 Analysts say the deal, the first time OPEC has convinced non-OPEC producers to join an output cut since 2001, indicates the cartel has overcome a major hurdle, even if the cut was below the original expectation of 600,000 barrels a day. That sent prices up to a more than one-year high. Bernstein Research expects oil to hit $60 a barrel in the near term, a price last seen in late August last year. 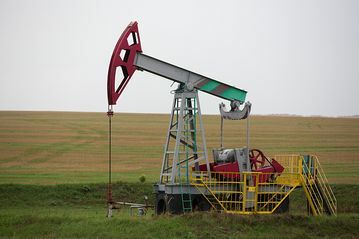 For more than two years producers ramped up production to defend market share, depressing oil prices, which at one point plunged to as low as $26 a barrel earlier this year, triggering company closures, slashed investments, and a painful national deficit for Saudi Arabia. On Nov. 30, OPEC producers, in a move unseen in eight years, agreed to cut the group’s production by 1.2 million barrels a day. Saudi Arabia, the de facto cartel leader, pledged to cut 486,000 barrels a day. Brent oil, the international benchmark, has risen more than 9% since the pact was forged. Jointly, the OPEC and non-OPEC agreements would cut production by around 2% but the price gains from that could be offset by a reduction in global demand. The International Energy Agency expects oil demand growth to moderate to 1.2 million barrels a day in 2016 and similarly in 2017 due to a sharp economic slowdown. Compliance by individual countries with their production quotas will be the key thing to watch. OPEC members have a spotty record of enforcing their own agreements, and there is no legally binding way to deter producers inside or outside the cartel from cheating on their pledges. Now, seeming to address the issue after decades of grousing about it, OPEC is setting up a committee to oversee compliance with the new pact. It is being led by Kuwait, Algeria and Venezuela, Russia and an still-unnamed producer from outside the cartel. Market watchers are also monitoring reactions from U.S. shale producers who will be eager to capitalize on any higher prices that result. In the week ended Dec. 9, the number of active oil rigs in the U.S. jumped by 21 to reach a total of 498, the biggest increase since prices rose above $50. A gush of oil from U.S. producers could entice OPEC nations to produce beyond their assigned quotas to defend market share.